Our team of expert, qualified and residential electrician brisbane are always committed to providing you exceptional services anywhere in Brisbane, starting from the scratch such as helping you design all your electrical fittings when you are in the process of building your dream home through to renovating your home and also provide guidance and support with all sort of electrical services and repairs. You can be rest assured that our pricing is very competitive and there are no hidden costs. We always take pride in providing exceptional services to our customers and always look forward to maintaining long lasting business relationships with our customers. 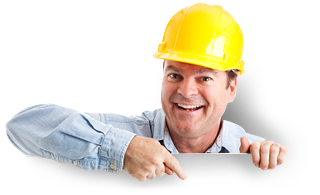 Electrical Maintenance Services for your Townhouse/ Units/Retirement Village etc. All sorts of lighting installations whether it be internal or external such as gardens, house light fittings, lights near your pool, security lighting etc. We always take pride in providing our customers exceptional customer service. Whether your job is be big or small, our team here at Electro Guru will always be happy in providing assistance with all your resindetial electrical needs. More information on house rewiring. If your house is more than 30 years old, we strongly recommend that you consider rewiring in order to keep your family safe from electric shocks etc. Rewiring is hassle-free and will not interrupt your life. As a residential electrician, we will ensure that you will have power after work hours and also make sure that we leave your house neat and clean before we leave. We take approximately one week to rewire a standard house. To Book a residential electrician you can call us anytime on 0466-360-591 or Request a free Quote and one of our technical team will get in touch with you soon.